Trusa Extractor Rulmenti 2 si 3 Ghiare INTERIOR-EXTERIOR cu Ciocan "CULISANT" 5.buc - ZIMBER. External pulling 40 to 80.mm. 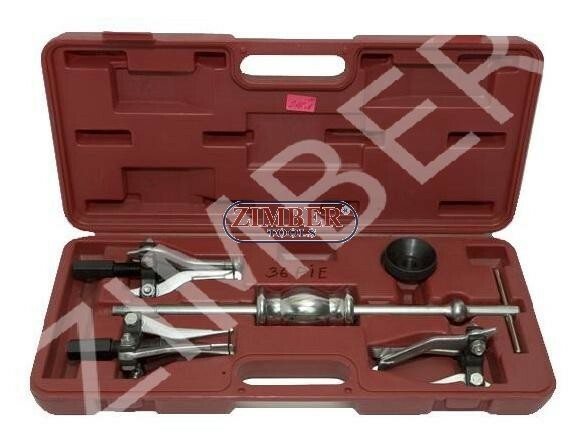 Internal puller 50 to 150.mm. 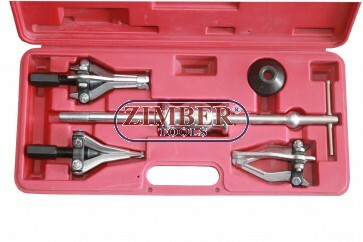 Triple leg gear wheel puller. Triple leg int. ball-bearing puller.